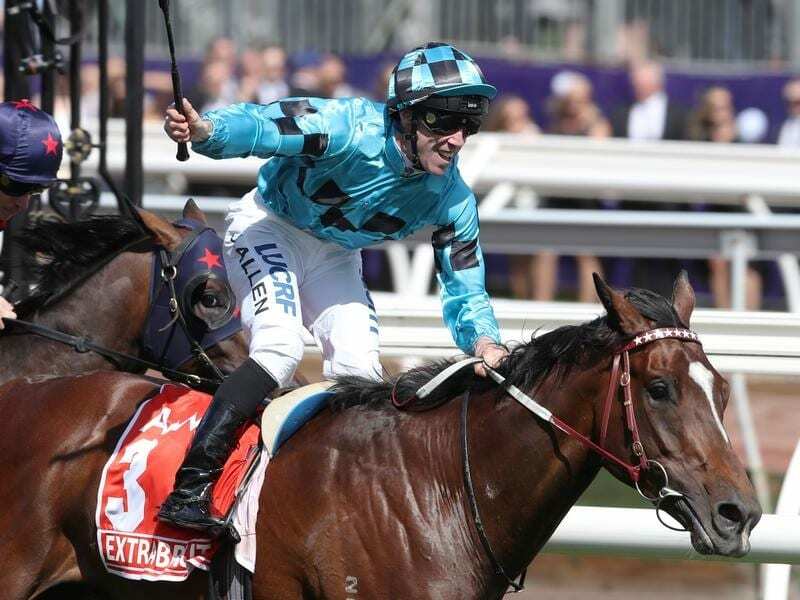 Victoria Derby winner Extra Brut has been entered for the Group Three Manfred Stakes ay Caulfield. Victoria Derby winner Extra Brut is one of two high-profile three-year-olds from the stable of Victoria’s premier trainer Darren Weir entered for the Group Three Manfred Stakes at Caulfield. Saturday’s Manfred (1200m) has attracted 19 entries with the Weir stable nominating Extra Brut and Sandown Guineas winner Ringerdingding. Godolphin trainer James Cummings has entered stakes winners Ranier and Aramayo as well as in-form Tin Hat while the Colin Little-trained Caulfield Guineas runner-up Vassilator is in line to make his return. Lindsay Park have nominated three horses for the race including the filly Fundamentalist who has been placed three times at Group One level. Her Vain Stakes-winning stablemate Tony Nicconi has been entered for the Manfred, the Listed W J Adams Stakes and an 1100m-benchmark 78 on the same program. Trainer Robbie Laing has four horses in the Manfred Stakes nominations including Group Two Vase winner and Victoria Derby runner-up Stars Of Carrum.